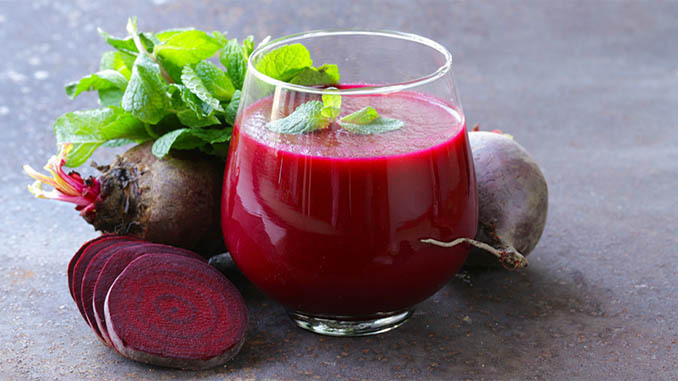 Beet juice is an extremely powerful cleanser of the blood and also highly nutritious, too. That’s partly because it’s full of folate, manganese potassium, iron and Vitamin C. Although that’s just the first ingredient required in making this yummy detox juice recipe, you can already start to see just how healthy it will be for you! Apples come next and the health benefits offered by this delicious fruit are off the charts. They’re extremely rich in important antioxidants, flavanoids, and dietary fiber which can help reduce the risk of developing cancer, hypertension, diabetes, and heart disease. 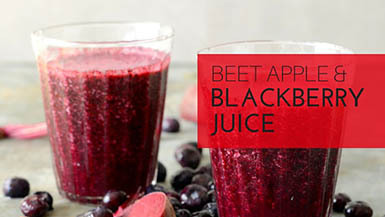 Finally, add in some dark blackberries (which are rich in bioflavonoids) and in the end you have a delicious tasting beet, apple and blackberry detox juice that is going to cleanse your body and also help with losing some weight. Try gathering each of the required ingredients listed below and then making one for yourself. You’ll likely be surprised at just how well these ingredients compliment each other! 1) Wash all fruit and produce well first. Making this amazing detox juice only takes a few minutes and it’s great to enjoy during the day while at work or in the evening time after a workout. Total prep time is only around five minutes or so!